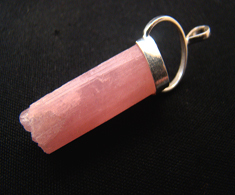 Pink Tourmaline is a primary stone of the Heart Chakra; it helps release stress and anxiety and can be a light at the end of the tunnel in depression. Set in sterling silver. 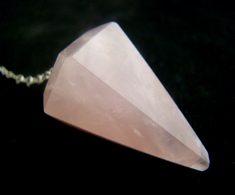 They are hand made from natural crystal, so expect variations in size and color, with average size around 28mm (1 1/8") from tip to tip.